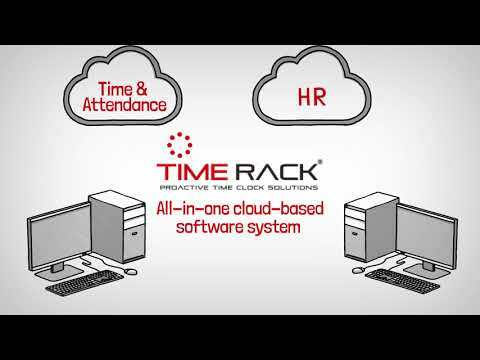 Time Rack is a complete cloud-based time and attendance solution which includes a mobile app and time clock hardware. Small to mid-size businesses such as CPA firms, staffing agencies, healthcare, manufacturing & logistics, grocery and construction businesses are able to streamline workforce management and simplify time tracking processes, while minimizing data-entry and calculation errors. Time Rack allows users to restrict admin access based on departments or locations as well as enable/disable punch viewing or editing from the admin’s end. Admin users can approve/deny time off applied by employees and give their comments for employees to see. Time Rack provides automatic alerts and unique security features to reduce fraud and theft. This centrally-hosted application provides biometric solutions and secure data storage. The geofencing feature of the Time Rack’s mobile app aids in managing the remote workforce. Time Rack cloud-based time tracking software integrates with Thomson Reuters Accounting CS payroll and generates payroll file bridges for any payroll software. This software has saved hours of time and confusion, for both me as the processor and the managers who have to verify the hours. The numerous reports make it possible to answer just about any question the employee or owner may have for the payroll processor.The software is easy for employees to use, both for clocking and for review of hours. The accessibility is easy to customize for your companies needs, and changeable by level. The overtime settings ensure that even the oddest pay periods are DOL compliant. Easy access to historical time cards and the hours feed well into our payroll system. The software is easy for employees to use, both for clocking and for review of hours. The accessibility is easy to customize for your companies needs, and changeable by level. The overtime settings ensure that even the oddest pay periods are DOL compliant. Easy access to historical time cards and the hours feed well into our payroll system. Scheduling by individual is limited, but groups are easy. Lock outs due to wrong passwords can happen, but are easy to fix. Ghost punches is a big problem solved with Time Rack. I like the ease of sending the hours to the payroll system. The support staff at Time Rack are always helpful. Versatility-there are multiple ways for employee time to be entered. Versatility-there are multiple ways for employee time to be entered. Like most software, it can't do everything you'd like it to. Some client-specific scenarios involving overtime and holidays worked don't calculate as per the client's needs. My staff was using paper time cards prior to moving to Time Rack. The amount of time I have saved doing payroll is amazing. This is automated and simple. Payroll is a ease to run now.Time Rack is very easy to work with. Running reports is simple. My staff has no issued with clocking in and requesting time off. Time Rack is very easy to work with. Running reports is simple. My staff has no issued with clocking in and requesting time off. I do not have any items that I do not like about Time Rack. I like the app. I like that our employees can make time off requests with Time Rack 365. I do not like how the time sheets look...especially for the employees. The total time should not include time out for lunch. This is very confusion to employees. The Time Sheets are too busy and have too much information. They were much simpler in TR5. Something needs to be done about the way the time sheets look and it needs to not include the time employees were out for lunch. This has cause a lot of frustration for our employees. Does not recommend. Unless the issues mentioned above have been addressed. The support wasn't responsive. It took days before you will get any response from the support team. 1. Web based 2. Availability of remote clock in feature, with geo-fencing option. 1. Web based 2. Availability of remote clock in feature, with geo-fencing option. 1. Not cheap. Subscription based fee based on number of employee registered to the clock. 2. PTO Accrual calculation function does not work. Tooks months to fix the bug but still does not work until the day we cancel. 3. Timeclock machine is a mediocre piece of plastic equipment looks like from the 80s. The fingerprint does not always work. One employee will be identified by machine as another even with registered fingerprint. After the sales manager gave us an upgrade to tablet version, the tablet constantly crashes. And fingerprint function is not available on the tablet version. Nor the so-claimed auto-photo capture of employee work as well. We pride ourselves on our ability to meet the needs of our customers, we always try to provide a great experience. We have corrected the PTO accrual calculation programming problem. Regarding our clocks, they meet industry standards and we use the leading clock manufacture. As with any software, training and correct use are always at the top of our lists for a best product experience. Looks like we may have needed to provide an improved training process based on the descriptions provided. We have upped our training for our clocks and specific software solution navigation and thankfully, since you were last on our service, user satisfaction has substantially improved. Please come see us again, and let us prove that we take customer feedback like yours, seriously. Contact Time Rack for detailed pricing information. • Time Rack helps minimize payroll errors by organizing time and attendance details on the front end. • Streamline the approval process, process employees’ checks without manual entry, and maintain brand identity with custom branding. • Time Rack time tracking software allows users to keep track of mobile workforce using GPS technology. • The integrated HR module helps companies to manage applicant tracking, onboarding, benefits administration, expense reimbursement, performance reviews, insurance & benefits tracking, HR compliance, and more. • The Time Rack mobile app is compatible with all the versions of Android, iPhone, and iPad iOS. Below are some frequently asked questions for Time Rack. Q. What type of pricing plans does Time Rack offer? Q. Who are the typical users of Time Rack? Q. What languages does Time Rack support? Q. Does Time Rack support mobile devices? Q. Does Time Rack offer an API? Yes, Time Rack has an API available for use. Q. What other apps does Time Rack integrate with? Q. What level of support does Time Rack offer?